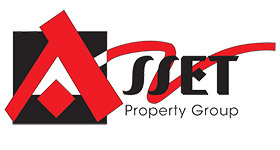 It is with great pleasure that I recommend Asset Property Group as a most valued property agent for our company. Asset Property Group has been a valuable partner to our group since 2015 and has helped facilitate and secure the current manufacturing facility of 17,500m at our new Denver facility in Johannesburg. The Asset Property Group was also instrumental in facilitation the sale of our previous manufacturing facility in Malvern during 2016. Since my earliest involvement with Raymond Roos and Rodney van Soest of Asset Property Group, I have found their company to be very efficient, professional and of high business values, putting their customer’s interest first. Asset Property Group’s partnership with Fluidra WaterLinx has been exemplary in all our dealing with them.